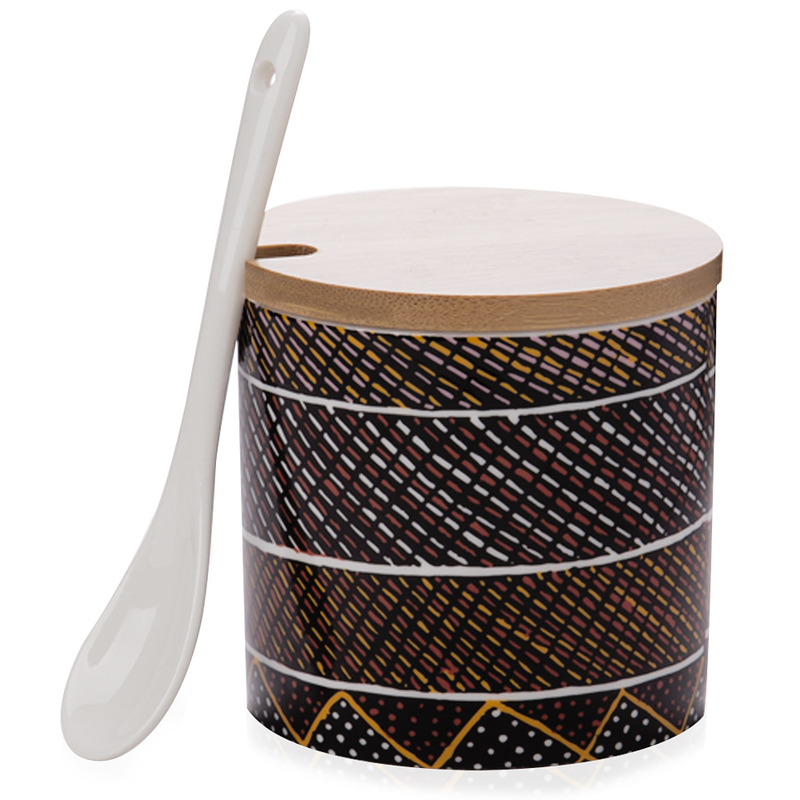 Lovers of Indigenous art will be impressed with this porcelain sugar bowl with a bamboo lid by Jacinta Lorenzo, an artist who’s part of the Manupi Arts & Crafts Association on the Tiwi Islands, which was founded in 1990. These Jilamara designs are inspired by the ochre paint used in totemic dances. 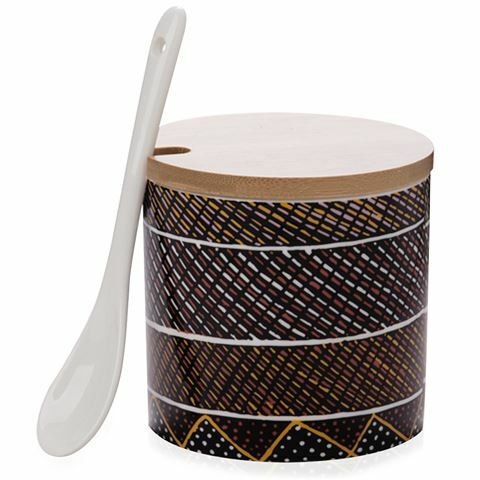 Benefits from the sale of these pieces go directly to the artists and the Tiwi community, which is as great initiative. In the meantime, this beautifully decorated sugar bowl will be a standout in any tea set because it’s not only a work of art but it’s made from the finest materials. Made from fine bone china and includes a bamboo lid and porcelain spoon. Includes a leaflet explaining the design and the community. Royalties from the sale directly benefit the artist and the Tiwi community. Presented in a recycled box.